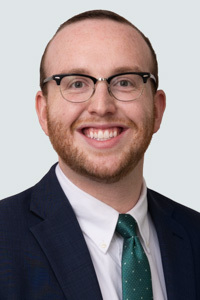 Josh focuses his practice primarily on Public Finance and Real Estate law, including the creation and administration of special purpose districts throughout Texas, particularly in the Dallas/Fort Worth area. His practice involves representing clients before various governmental entities, including: Texas Commission on Environmental Quality, cities, counties, and various regional service providers. He graduated from the University of Texas at Austin in 2014 with a Bachelor of Arts in Psychology and a Minor in Business Administration, and was a member of Sigma Alpha Mu. Josh earned his Juris Doctorate from South Texas College of Law-Houston in 2017, graduating with honors in the upper 10% of his class. While in law school, he served on the Editorial Board of the South Texas Law Review as Note & Comment Editor and was a member of the STCL Texas Exes club.